Mizen, Sheep’s Head, Beara, Iveragh and Dingle: these are the five peninsulas which make up the south-western coast of the island of Ireland. We live on the Mizen and, for that reason, we are always trumpeting the qualities of the place, historical and scenic. However – to be fair – the other peninsulas have much to offer. 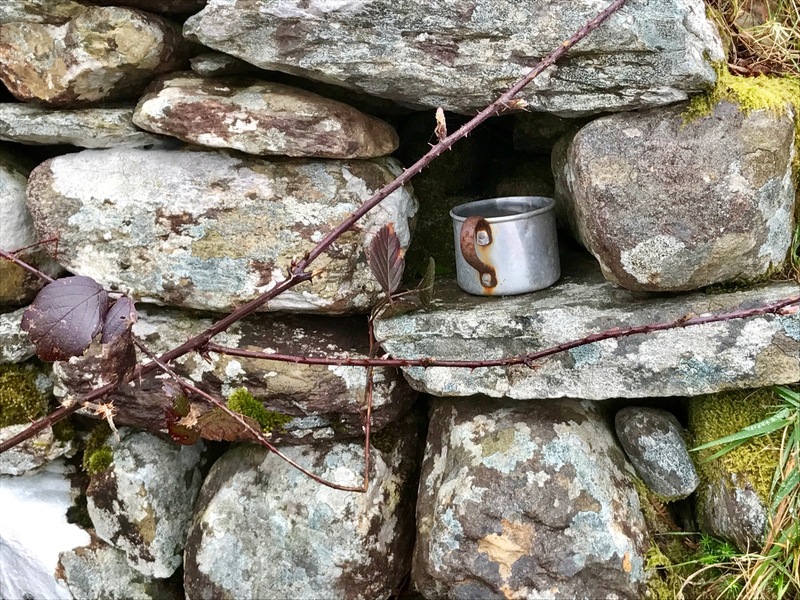 The Sheep’s Head is a mere stone’s throw from us – just over the waters of Dumnanus Bay – and our visits there are frequent. 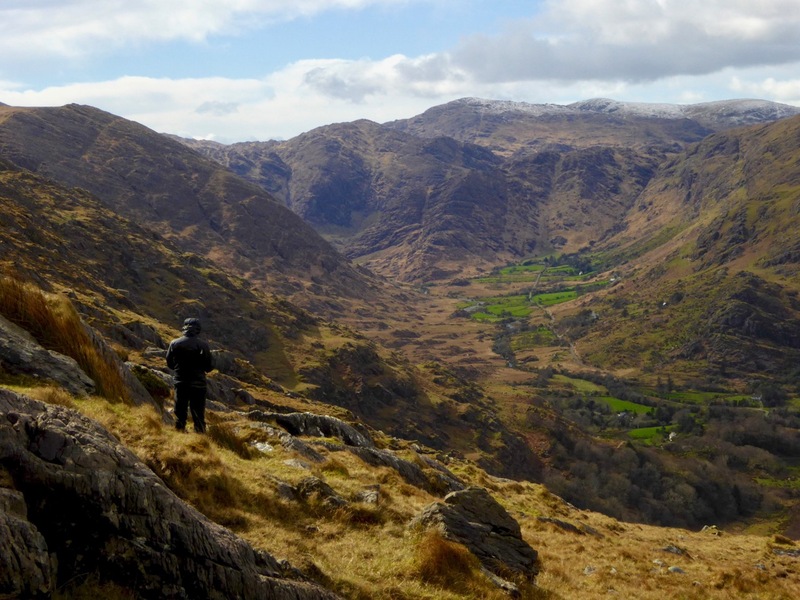 The Beara has been calling us recently: we tend to think of it (unfairly) as somewhere quite distant but we can be on it in less than an hour. 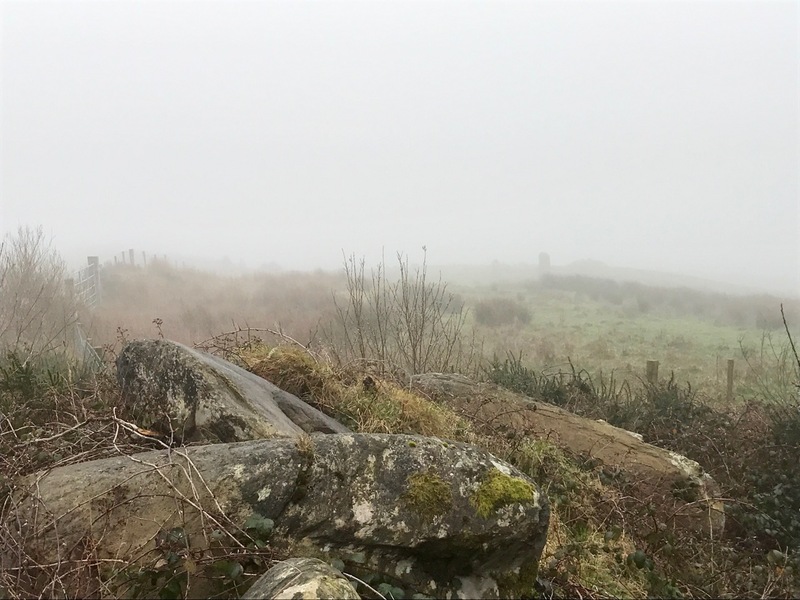 In the last two weeks we have taken two day trips out there (with our holy-well hunting friends Amanda and Peter), in contrasting weather conditions, and we can report back that the landscape is stunning whatever the weather, and the visible history is palpable. We have visited before – a while ago now: see our posts here and here. 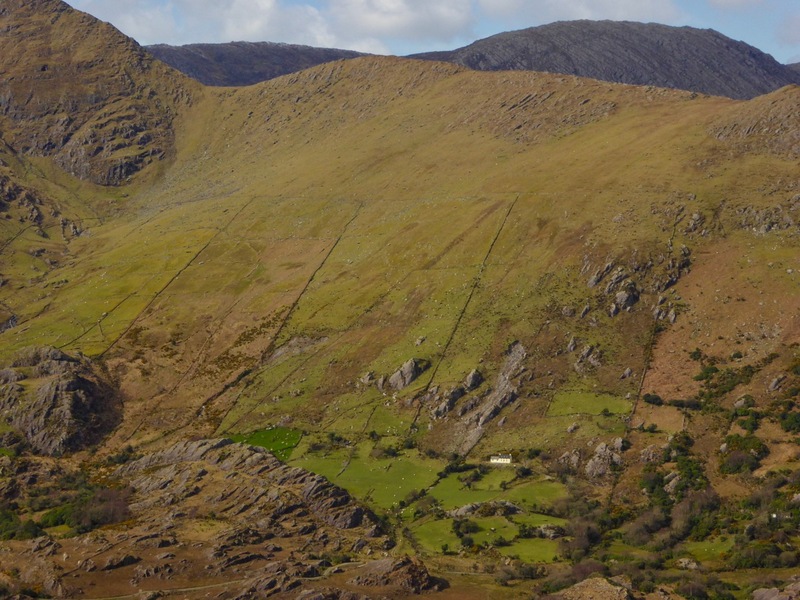 The Beara comprises around 58,000 hectares, or 228 square miles, and covers 330 townlands. The larger, southern portion of the peninsula lies in County Cork, while the northern area is in County Kerry. 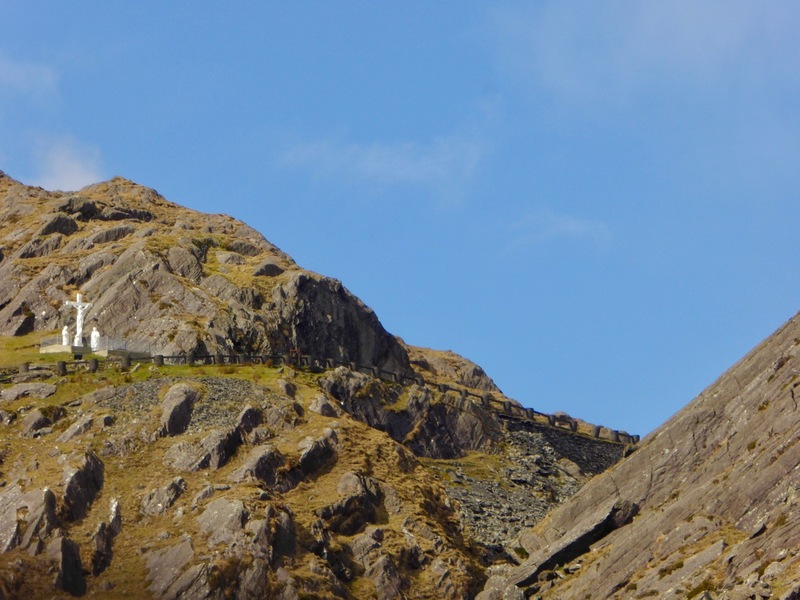 A significant and comprehensive study of the history of the Beara has been carried out by Cornelius J Murphy (more popularly known as Connie Murphy). In all he has examined and documented some twelve hundred archaeological and historical sites, some half of which had been known and recorded previously, but as many had not. 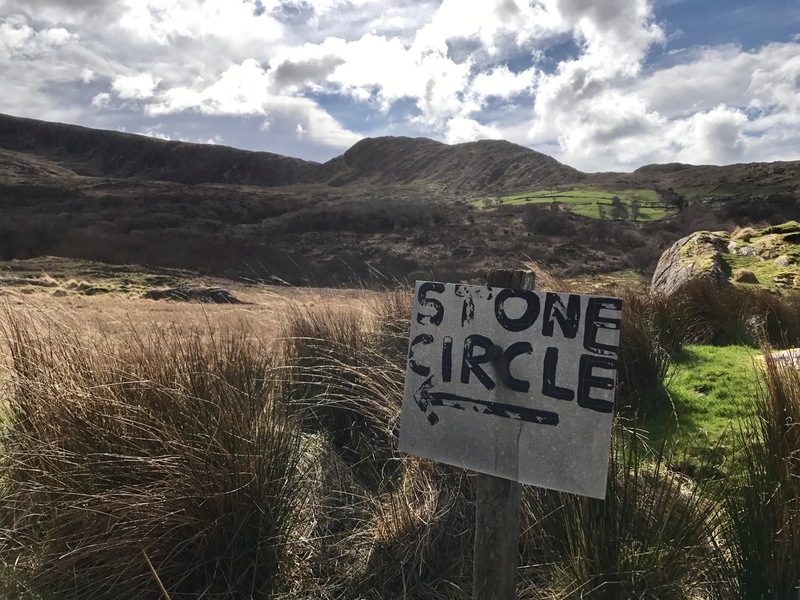 Our little expeditions pale into insignificance compared to Connie’s work, but they will inspire us to spend more time ‘on the ground’ in the area, while also simply taking in the spectacular views of the wildly variable topography. 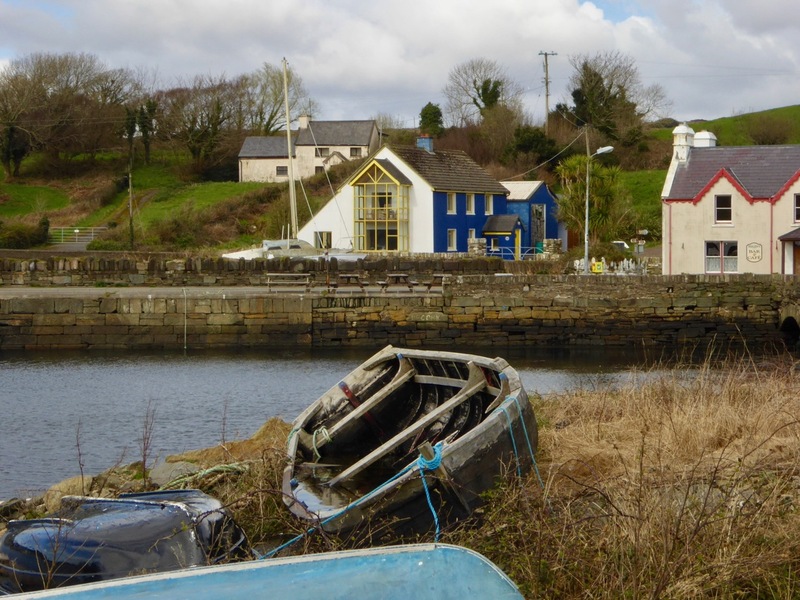 …Later Owen, Beara and a large army sailed from Spain and landed in Greenane. 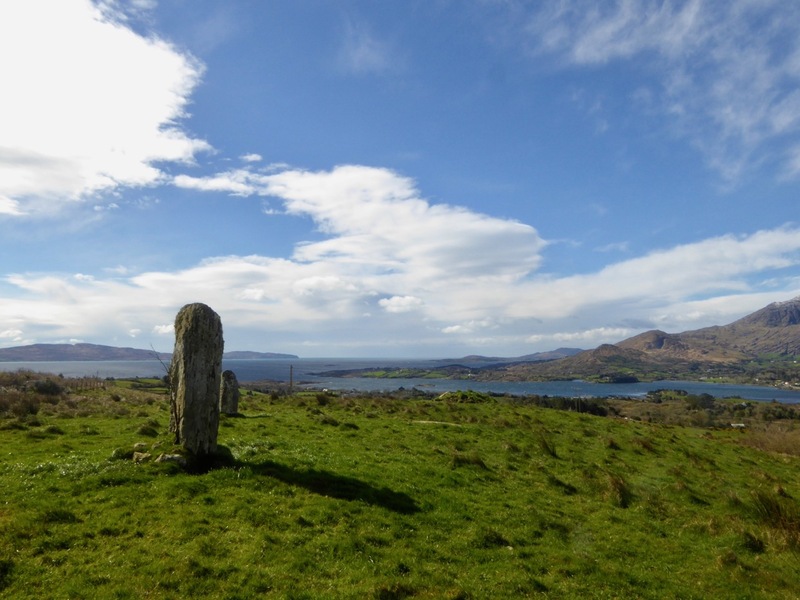 Owen took his wife to the highest hill on the island and looking across the harbour he named the island and the whole peninsula Beara in honour of his wife. Rossmacowen, Kilmacowen and Buaile Owen most likely are named after Owen Mór and his son. 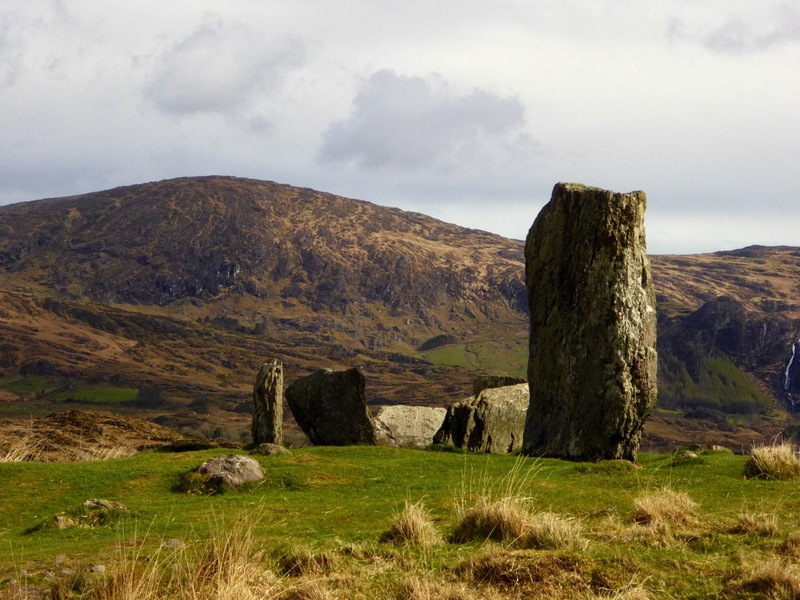 Owen’s wife, Princess Beara, died and was buried in Ballard Commons in the remote and peaceful valley between Maulin and Knocknagree Mountains…. 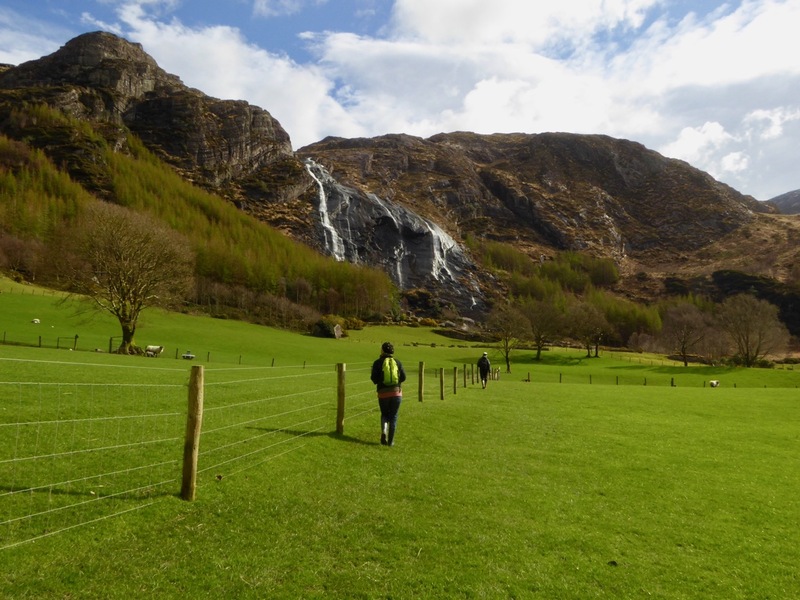 Our first day’s expedition took in the southern side of the peninsula, from Glengariff to Castletownbere. 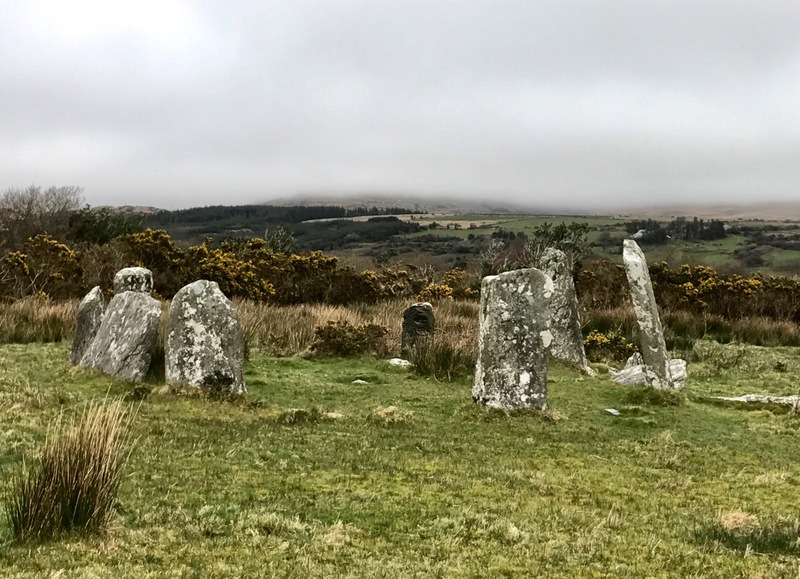 The mist was down and we went off the beaten track to search for holy wells, standing stones and stone circles, and were rewarded with some good finds. 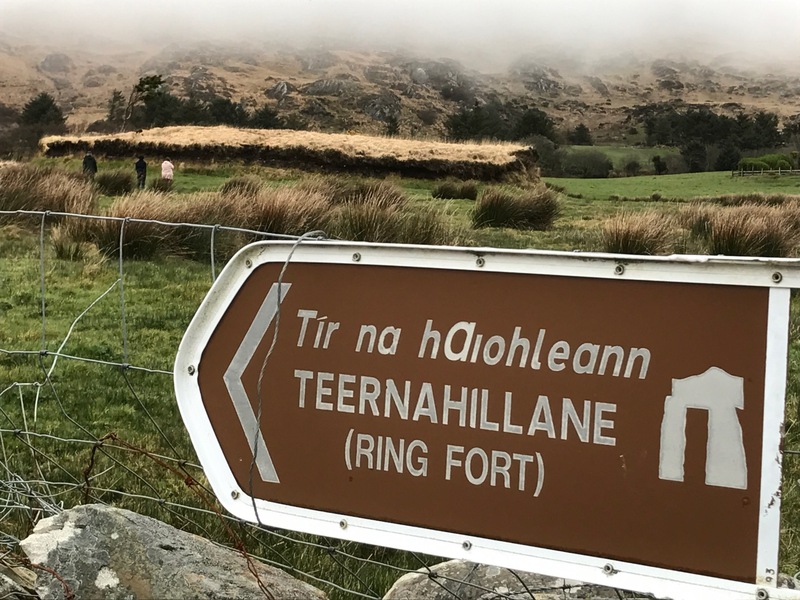 I was particularly intrigued by the ‘raised ring fort’ at Teernahillane: I could not trace anything in the archaeological records to describe or explain it. 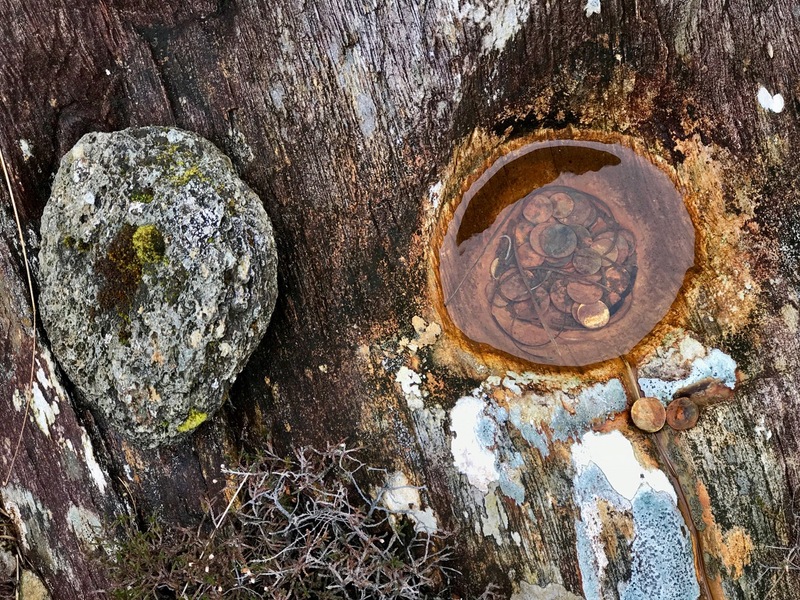 Our conclusion was that it could be a natural phenomenon that has been mistaken for an unusual (and rather unlikely) form of defensible structure. There is no sign of any retaining stonework, although this might have been robbed but, other than being more or less circular, it bears no resemblance to any ring fort we have seen elsewhere. If anyone has any more knowledge or ideas about this site, please let us know. 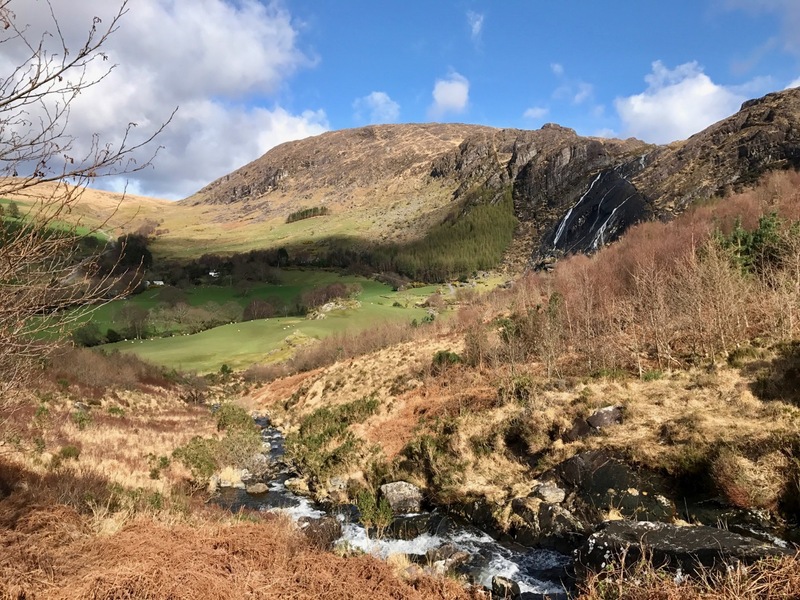 On our travels this week we were rewarded with brilliant weather which cast a whole different hue over the Beara – and opened up the incredible views which are everywhere, but nowhere more spectacular than the journey over the mountains on the Healey Pass. 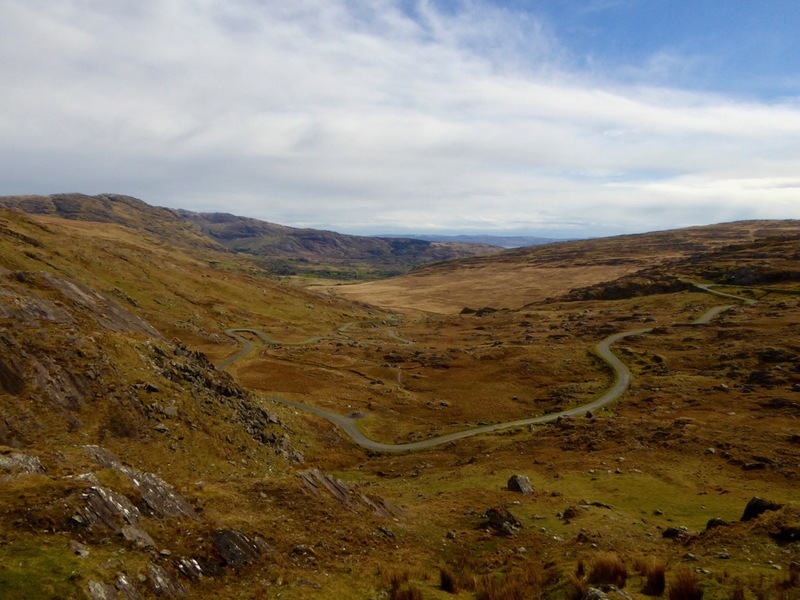 This road was constructed as a famine relief project in 1847 on the line of an ancient trackway that connected Cork and Kerry and was first known as Bealach Scairt – the way of the sheltered caves. 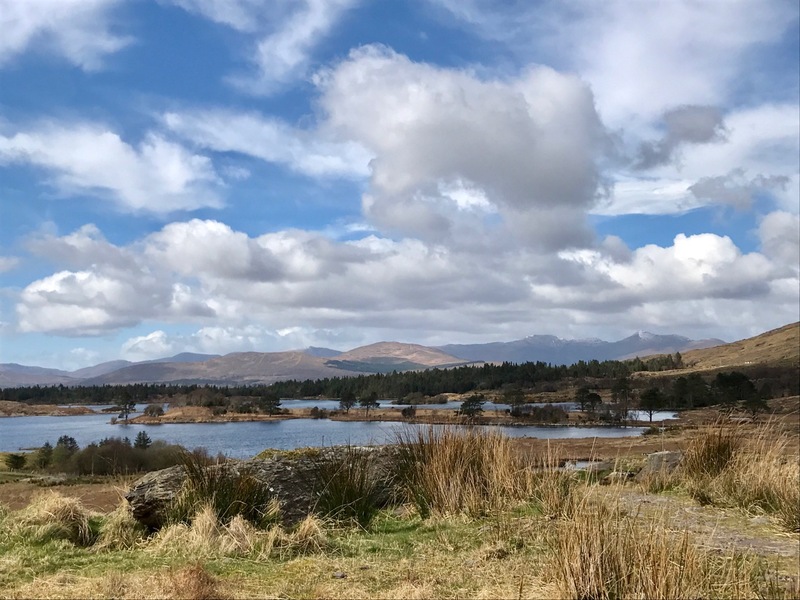 It was renamed after Timothy Michael Healey (who lived from 1855 to 1931) – a Bantry man, deserving of a future blog post, who achieved notoriety in the Irish Parliamentary Party under Charles Stewart Parnell. The two fell out – and came to blows – when Parnell was involved in a sensational divorce case. After the 1916 rising, Tim Healy declared his sympathy with Arthur Griffith’s Sinn Féin movement, but was opposed to the use of physical violence. Healy returned to prominence in 1922 when he was appointed the first ‘Governor General of the Irish Free State’. 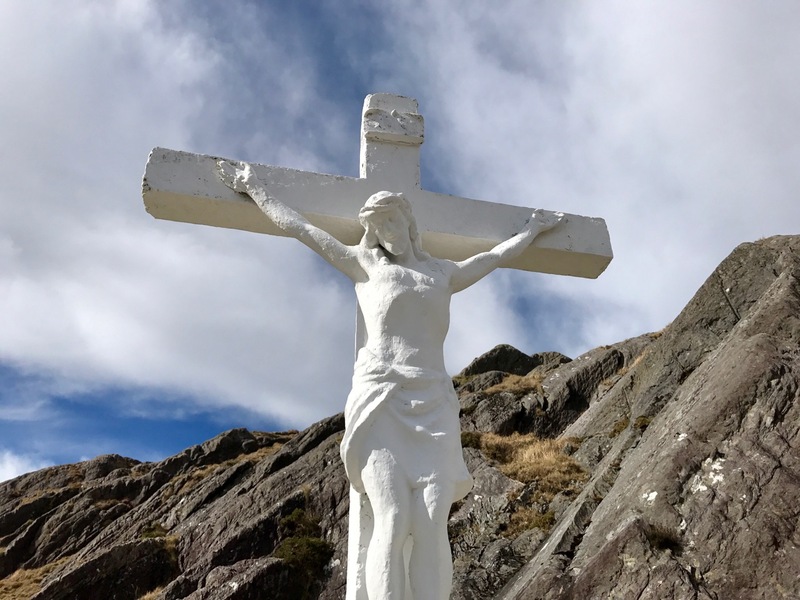 In that post he pursued the improvement of the road between the Kerry side and the Cork side of the Beara Peninsula and, shortly after his death in 1931, the restored pass was dedicated to him. 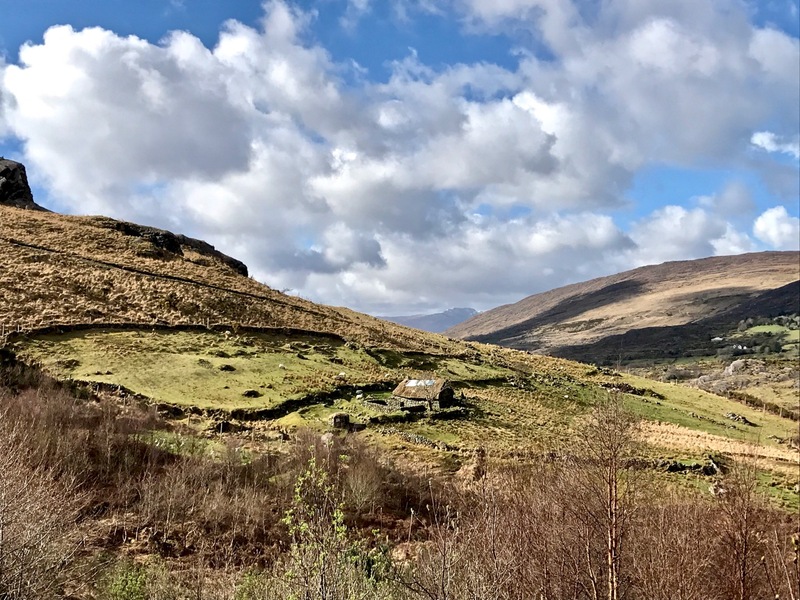 At the top of the Tim Healey Pass we were treated to the most incredible views of our entire journey: our photographs hardly do them justice, but we hope they give you a sufficient taster to inspire you to journey that same way. 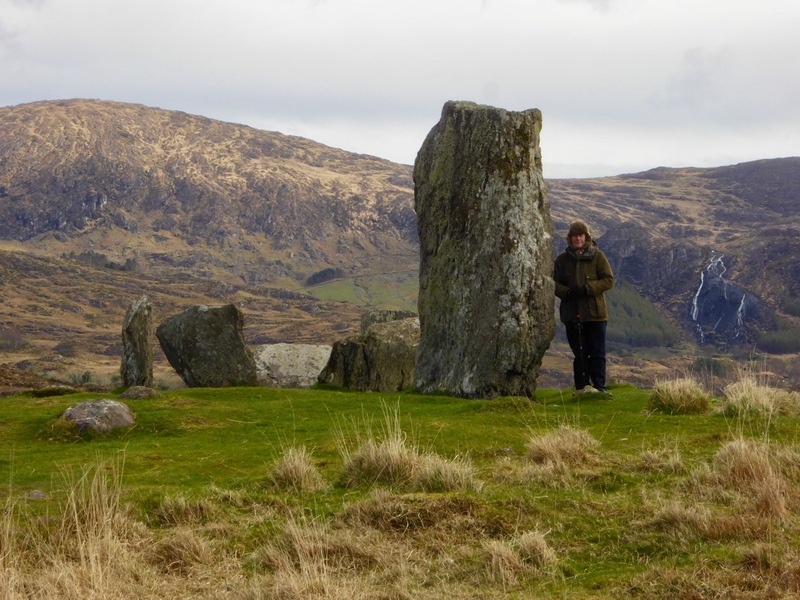 Other highlights of our second day trip included the Uragh Stone Circle – surely the most dramatic situation for any megalithic monument? 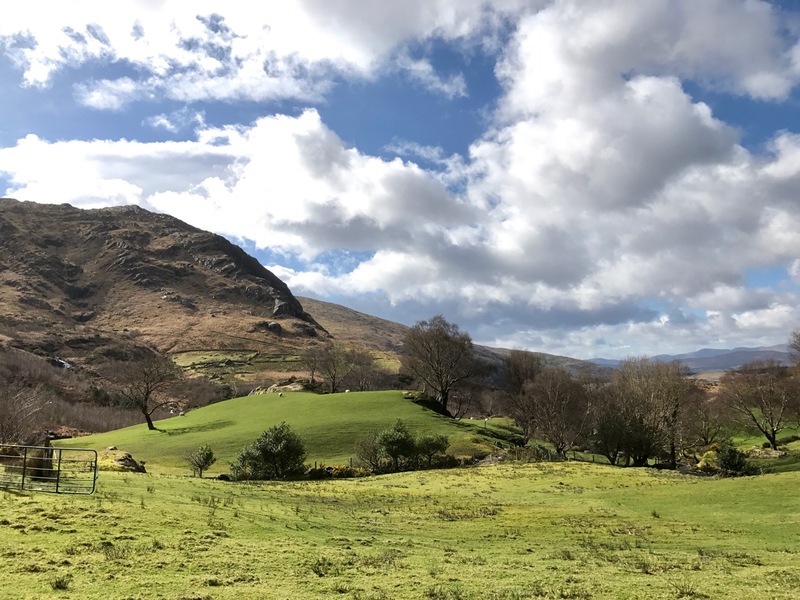 Beyond that site – through serpentine narrow boreens – lie the Gleninchaquin Lakes, Woods and Waterfalls, on a privately owned and run park covering 700 hectares. The very modest entrance fee allows you to freely use all the walking trails, the longest of which – around the perimeter – will take you six hours! 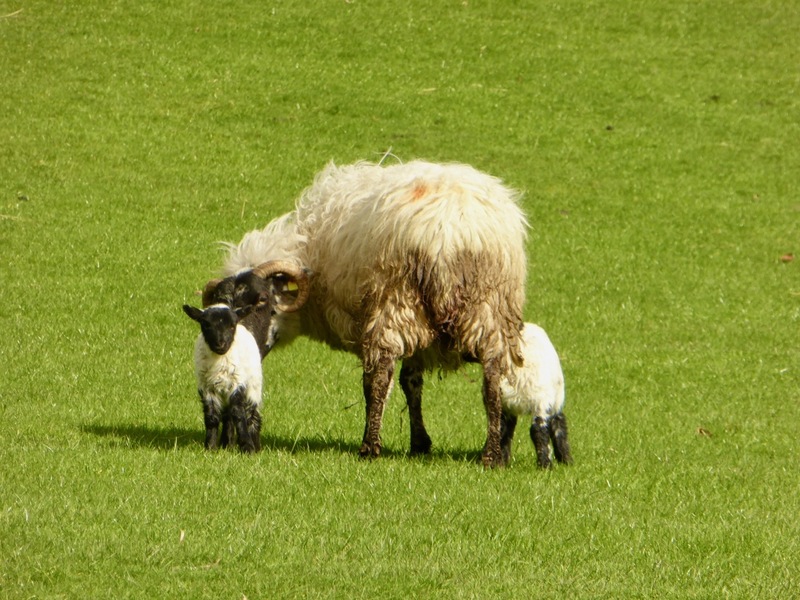 We chose a shorter route through unbelievably green meadows, passing the enormous waterfall and being treated to glimpses of newly born lambs, all in hot March sunshine worthy of the middle of summer. All roads lead to home and we found ourselves eventually in Kenmare – where we suppered and visited another rather special holy well – before travelling over the mountains to Bantry on another high road – spectacular also – the Caha Pass – which finds itself tunnelling through the rocks in places. 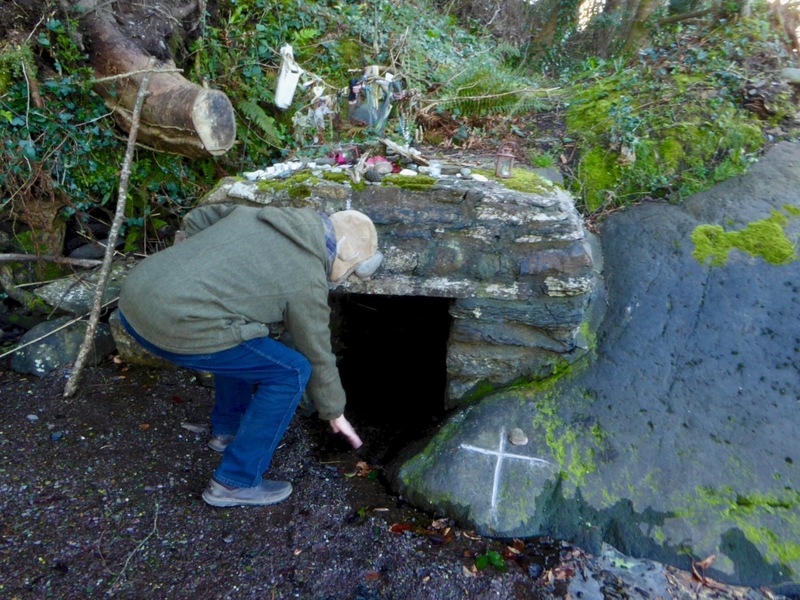 Saint Finian’s Holy Well, on the shores of the river at Kenmare – still visited, and still effective! 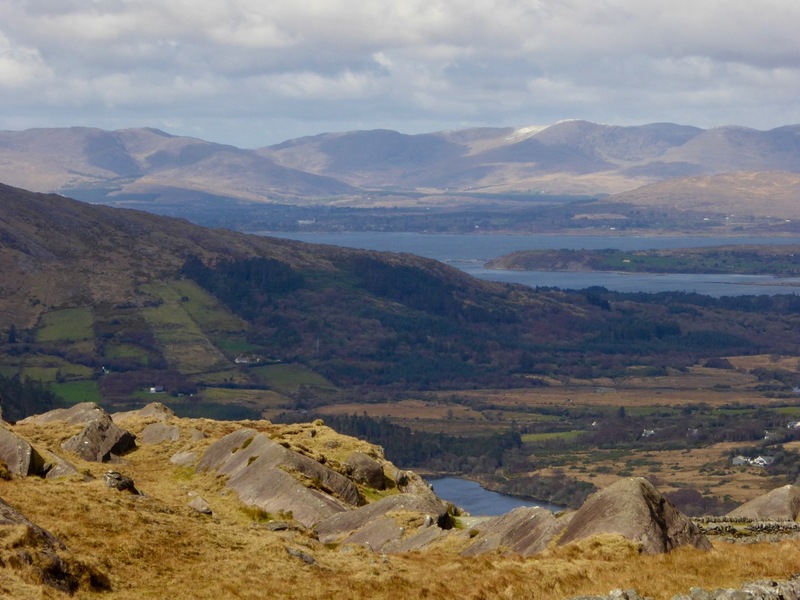 We hope these little descriptions, and the photographs, will stimulate you to explore the Beara. We are looking forward to many more visits there, and to the discovery of yet more of Ireland’s fascinating history.